Remember when you could turn your old Mac SE into a fish tank? Good ol’ days. While it may have been cool in the day, it was not the most efficient. With technology changing so rapidly, the computer, phone or iPad you buy today is outdated in a year. Well not completely. 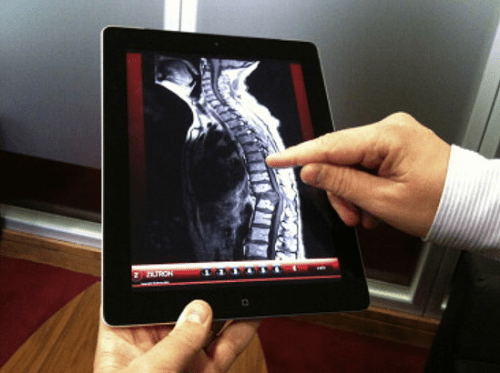 Let’s take a look at some cool ideas I found on the interwebs that can put your iPad 2 and above to good work. Selling that year old tablet is always an option. Keep in mind that many iPad owners look eBay and Craigslist for quick cash – your’e not the fist. But here are a few options. Gazelle, Glyde, SellMyCellPhones.com and USell are good options. Amazon has a trade-in program that is pretty interesting. They tend to not be as competitive but they are trustworthy. 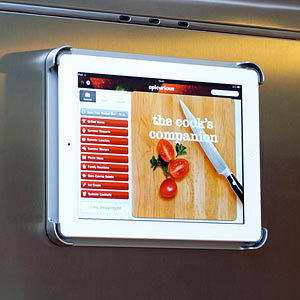 Retailer Target is also interested in taking that older iPad off your hands. The company’s Electronics Trade-In Service lets shoppers bring in new or used iPads—as well as iPhones, cell phones, iPods, and video games—and turn them in for credit on other Target purchases. The retailer says you can get up to $200 in store credit depending on the condition of your item—that could go a long way toward paying down the cost of an iPad 2, which Target will offer. If your hooked on books, via an electronic device, than maybe this is for you. Just equip that old iPad with the reading app of your choice—whether it’s the Kindle app, Apple’s iBooks, or any of the other iPad e-reading apps available for download. Take everything else off the device, e-mail settings, games, and any push notifications to make the reading environment as distraction-free as possible. All you need to do is download a camera monitoring app to your old iPad and your new one (or an iPhone or iPod touch), set the old iPad in the room you want monitored, and keep it plugged in. The Presence App turns apple products into security cameras by sending a live web cam feed to the user online while they’re away. This seems a little crazy but there is a company that makes a kit to mount the iPad in your car. 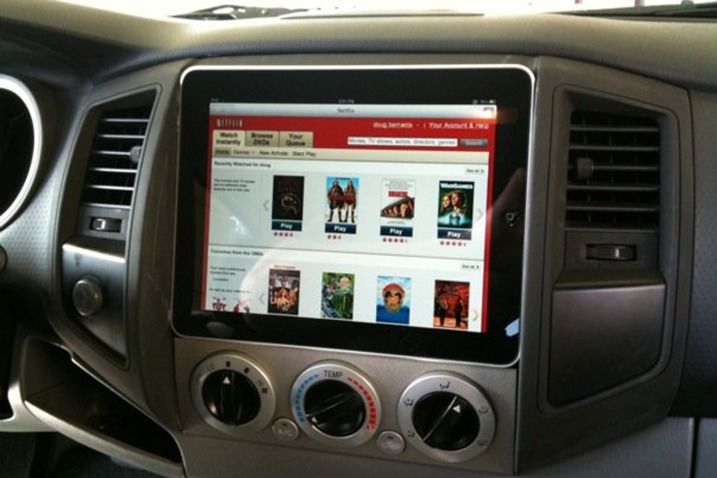 Another great way to give your old iPad a new life is by mounting it in your car. With an iPad embedded in your car you can have all your satnav and media needs in one device. And with Apple’s new HDMI accessory (that also works on the iPad 1) you could even switch the view to screens in the headrests. The video below shows the complete mounting of an iPad in the dashboard. 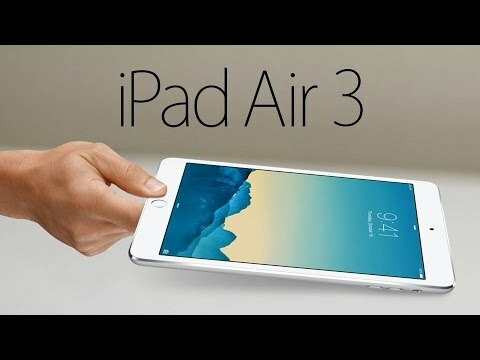 iPad Air 3 is arriving next month, according to the most recent rumors, and it inherits some features from the iPad Pro. According to the tech blog 9to5Mac the latest iPad update is expected to have a rear-facing LED flash in order to take better pictures in low light. For those who want their 9.7-inch iPad Airs to rival the sound quality of the larger iPad Pro. There may be additional speaker grilles to match the Pro’s audio quality. Additionally, sources told 9to5Mac that Apple has been testing out versions that would be compatible with Apple Pencil, the stylus tool that was introduced with the iPad Pro last fall. The other obvious upgraded feature would be the current iOS 9 operating system. An eventual iOS 9.3 upgrade is currently being beta-tested by developers. The device would also work with the iOS 10 that is down the line. The newer iOS will reportedly include Night Shift, a feature that changes the display screen light color at night for those who like to read their tablets in bed before sleep. Just in time for the holidays, iPads in all sizes. From a “Mini Me” to a “Grande” version. What will fit in your stocking? Well certainly not the iPad Pro, but man I am looking forward to this model. To me, this is the epitome of computing. This is computing on the go. The strength of a computer and the mobility of a phone. Once the iPad Pro hits shops, Apple’s tablet range will be the most diverse it’s ever been, with three main form factors and a range of price options for customers to choose from. Let’s take a look at what your options are, and which iPad you fit into. Which model is your flavor? 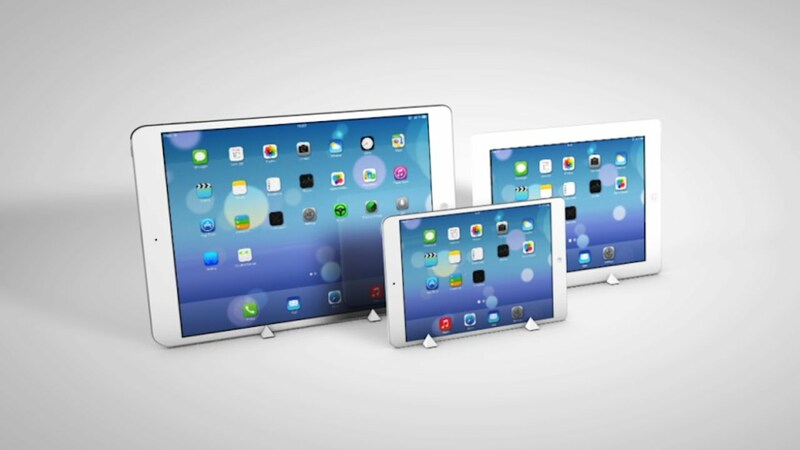 iPad Pro, iPad Air 2, iPad Air or the iPad Mini 4? Why you should consider this: The iPad Pro will have the largest screen and is Apple Pencil compatible. It will also be the most expensive, but your buying into the future. Apple’s newest iPad Pro is also its biggest and most powerful. 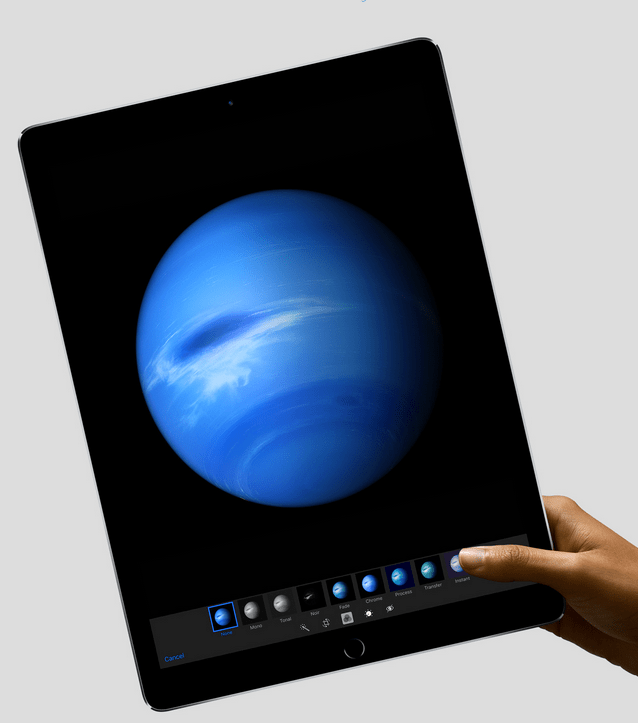 The iPad Pro has a huge 12.9-inch display, making larger by 3.2 inches. Despite being the largest iPad display, the iPad Pro retains its 264 ppi ‘Retina display’ status thanks to a 2732 × 2048 resolution. 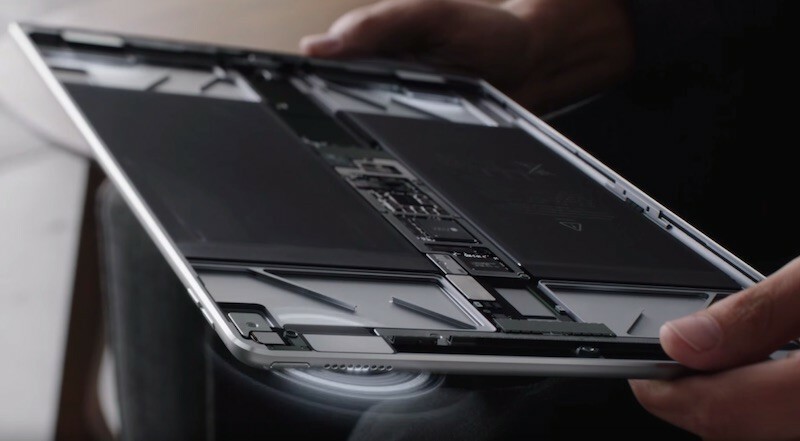 The iPad Pro has an enhanced A9X CPU that makes it the most powerful iOS device on the market. The iPad Pro is also unique for offering support for the new Apple Pencil and the Smart Keyboard, which provide stylus and physical keyboard input options respectively. All of which means that the iPad Pro is the perfect choice for artists who like to sketch on their tablets, as well as for those who want to use their iPad for the kind of productivity tasks usually reserved for a laptop. It’s a thing of beauty and starts at $799. 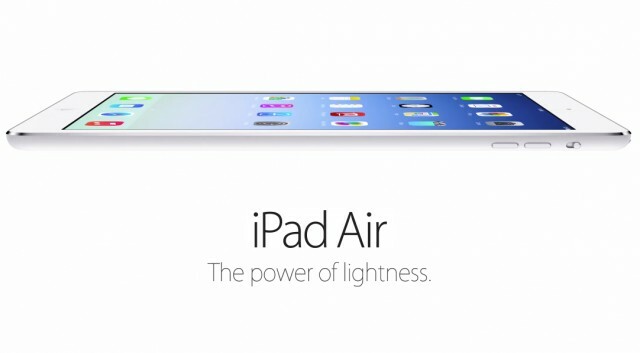 The iPad Air 2 is the current top model of the iPad as we all know it. 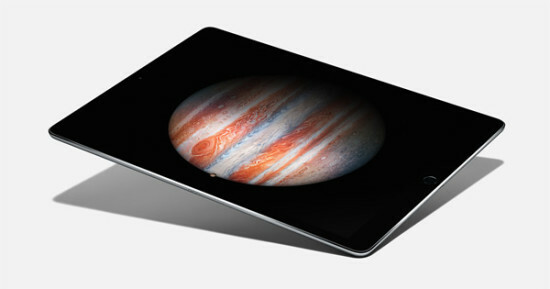 It’s got the same-sized 9.7-inch display as the very first iPad, but with a sharper 2048 x 1536 resolution. 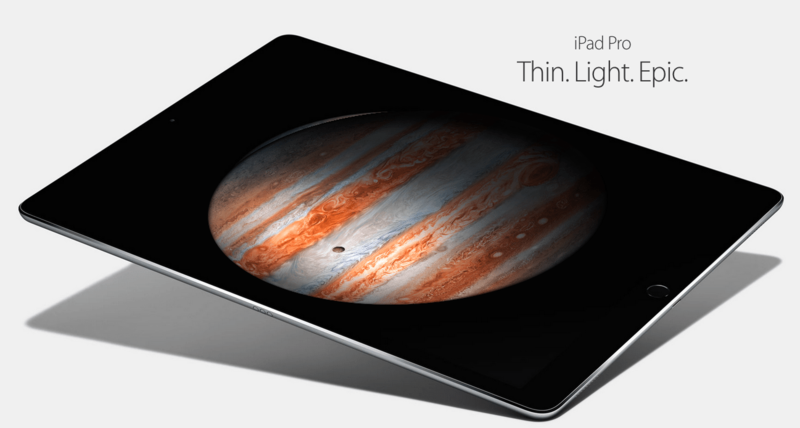 It’s also a lot slimmer and lighter than previous full-sized iPads at 6.1mm and 437 grams respectively. Meanwhile, an A8X CPU and 2GB of RAM makes it the fastest device of Apple’s 2014 roster, and it still holds its own today as the second-fastest iPad in the range. The addition of a Touch ID sensor. It’s worth noting that the iPad Air 2 is more than a year old now, but that you still have to pay the same price as you did on launch day. The positive side is that it’s a sign of what an excellent tablet it is that Apple feels confident it can stand as a flagship ‘normal’ tablet for at least a few months more. 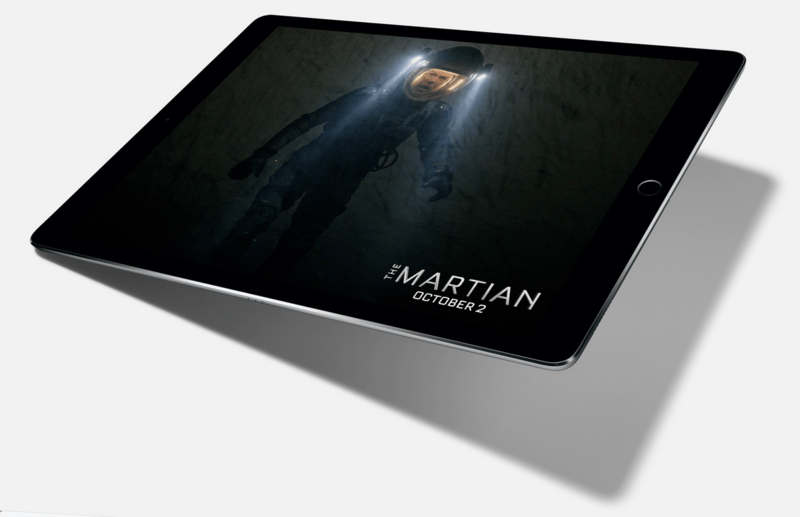 Simply stated, there still isn’t another 10-inch tablet that comes close to the iPad Air 2 for all-round excellence. Why you should consider this: The most affordable model out there. 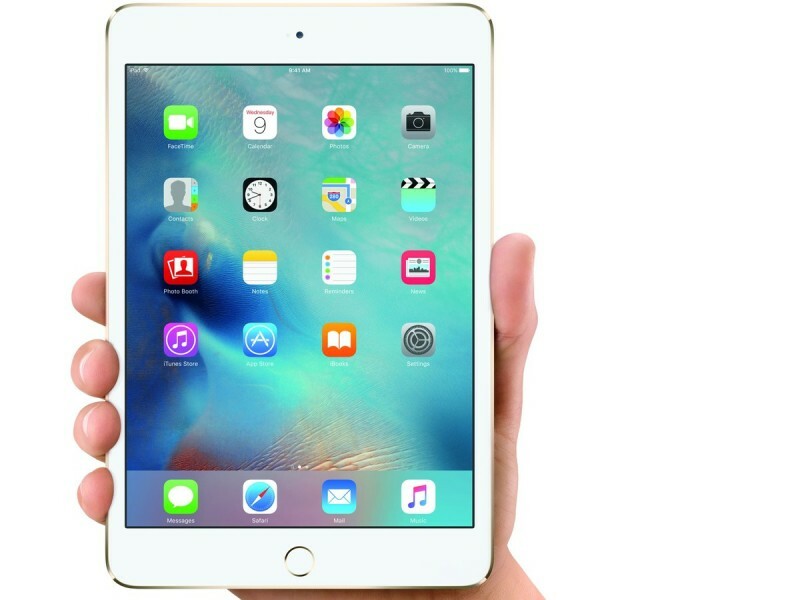 If you’re after a full-sized iPad but are on a strict budget, there’s the iPad Air. 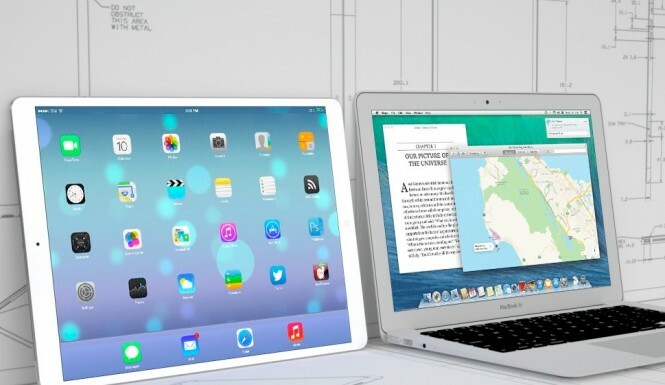 It looks and indeed acts very similar to its successor, the iPad Air 2, but it’s $100 cheaper. It’s significantly less powerful, of course, with an A7 CPU compared to the Air 2’s enhanced A8X, but it’ll still run iOS and apps and games smoothly. There’s no Touch ID, so you won’t be able to unlock the iPad Air with your fingerprint, and the camera is a 5-megapixel unit. Personally, for $100 I would move to the iPad Air 2, but if your budget really can’t stretch, it remains a strong tablet. Why you should consider this: It’s the best value all around. The is the second new iPad of 2015 and is a much-needed replacement for the iPad mini 3, which fell short on all specs. 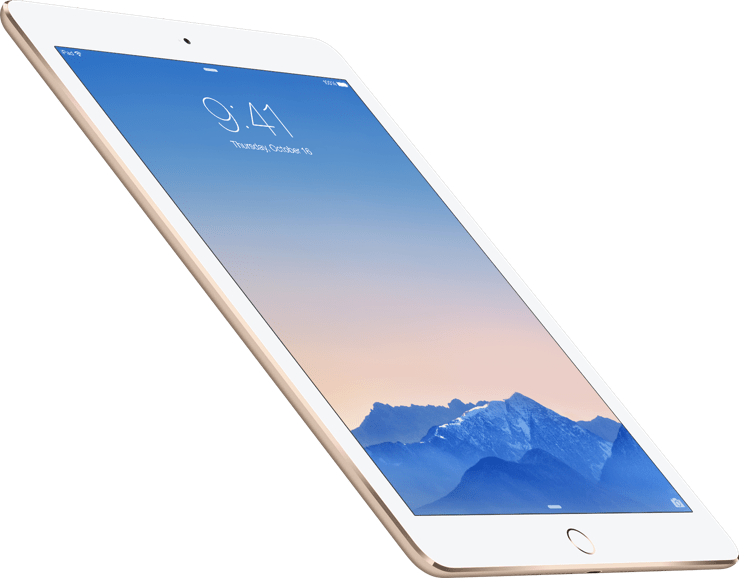 Essentially it offers the iPad Air 2’s performance – including an A8 CPU, 2GB of RAM, and a TouchID sensor under the home button – but in a smaller form factor. This compact tablet has a smaller 7.9-inch display, but the same 2048 x 1536 resolution as the Air family. It’s also 138g lighter. Small, powerful and priced in the middle of the road or iPads. With its ideal balance of power, portability, and price, the iPad mini 4 is arguably the best-value iPad in the range. Starting at $399 this tablet is the best choice at this size. So whether you want the mini or need the Pro, Apple never disappoints (usually). The Apple value goes beyond hardware and software, it’s a life experience. Who best to test this experience than your cat – See video. The iPad Pro is just 6 weeks away from launch and digital geeks are all taking sides between Apple and Android, writing comparisons to the Surface, and making guesses on its ability to retake the tablet industry. My guess is that this 12.9 inches of slender glass and aluminum will be amazing to some, and invaluable to a few. It’s like having work and play all on one machine. Let’s take a look. If you haven’t seen what the iPad Pro looks like, watch the video below before reading on. If you want full specs you can visit here. I want to talk about what the iPad Pro will add to the marketplace. However, one interesting feature that most people are not talking about is the four speaker audio system that automatically balances left and right depending on how the iPad is held for the best possible sound. It also puts out three times as much audio volume as the iPad Air 2. First of all, are tablets a thing of the past? No. Why? 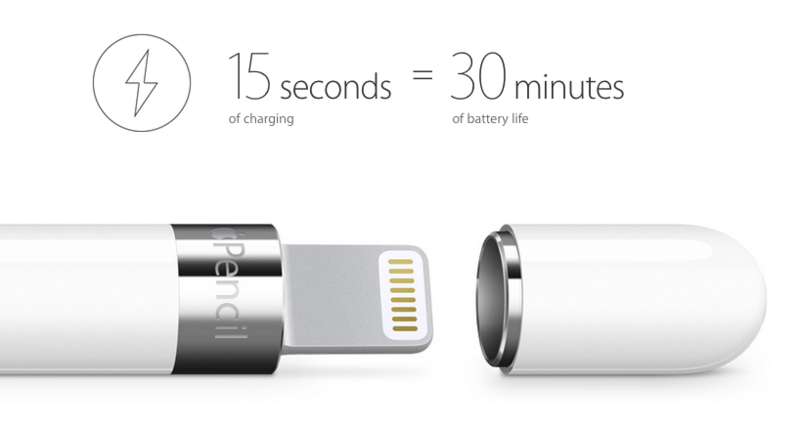 Because apple says so. Well maybe not totally. The fact is Apple sold 70.4 million iPads last year which is nearly double that of Samsung’s tablet sales. The overall tablet market has continued to grow as expected: Garter says a total of 256.4 million tablets were bought in 2014. And this year it is expected that tablet sales will exceed PC sales – 320 million tablets vs 316 million PC’s. So forget the news you hear about declining. Tablets are useful, and quite frankly I think they will replace PCs by 2018. If you must compare, these are the two to compare. However, I’m not going to even going to give Samsung the gratification of comparing, because there is none. Apple innovates and uses quality materials to build tech. Samsung copies is, falls short on innovation and uses inferior materials. Imagine a iPad with a Samsung logo on it only it doesn’t do as much and it doesn’t feel quite right. Now don’t right me off as an angry Apple user. The fact is I’m on both platforms and I live my android phone. But I know innovation, uniqueness and quality when I see it. So what will separate the IPad Pro from the rest? Well one thing is a innovative instrument of design. a magic wand if you will. Where will this iPad Pro shine? There are several industries that will embrace this new iPad like, graphic artists (new pencil), business world and the healthcare industry. These are just a few. The artists of the world are going to be exposed to a new medium with the Apple pencil. Art will be reborn. The business world is going to love the capabilities and portability of this product. Its larger screen is intended to provide more space for business documents, charts, graphs, and presentations. The display is made more useful by the multitasking capabilities in iOS 9, which lets users split the larger screen among multiple apps. Other noteworthy features include Apple’s new A9 64-bit processor, which is reportedly 1.8 times faster than the A8x chip in its iPad Air 2, and 4GB RAM. A smart keyboard, which doubles as a device cover/keyboard combo, and Apple Pencil are two Apple-designed accessories intended to help the iPad Pro become more of a laptop replacement. Finally, the healthcare industry is primed for a tablet of this size and power. In situations where the PC is to clunky, the iPad Pro will excel. For instance, consider a medical student trying to dig deep into an anatomy lesson in the classroom or lab, a doctor in a sports clinic explaining a ruptured Achilles or torn ACL/MCL to an athlete, or perhaps a health worker in an inner city clinic illustrating organ damage to a homeless person. All these examples from mHealthNews reminds us of unique situations that the healthcare industry leans on technology. In addition, sales reps in pharma and any industry will have a selling tool that is always on, connected and capable of superior graphics. What supports the hardware, is the roundhouse of software solutions to drive the machinery. Analysts have said Apple will face stiff competition from the likes of Microsoft and Samsung in the enterprise space, but with the success in healthcare circles of the iPhone and platforms like HealthKit and ResearchKit – and a slow-but-steady growth pattern for the Apple Watch – it’s impossible to overlook what the iPad Pro might be able to do. ResearchKit is an open source framework introduced by Apple that allows researchers and developers to create powerful apps for medical research. Easily create visual consent flows, real-time dynamic active tasks, and surveys using a variety of customizable modules that you can build upon and share with the community. And since ResearchKit works seamlessly with HealthKit, researchers can access even more relevant data for their studies — like daily step counts, calorie use, and heart rate. At the end of the day, Apple is not just delivering an iPad or a device, they are delivering a solution that meets a need. I suspect that many industries will embrace the new iPad Pro with open arms (and 2 hands). Looking forward to November and future computing. The rumor mill is flying and new stories and photos are appearing every day. There is definitely a new iPad coming. 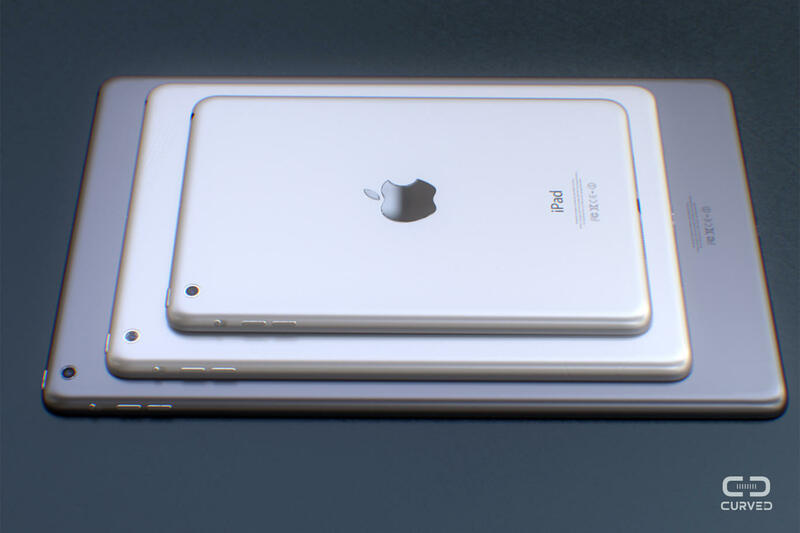 Let’s hope 1/2 the iPad Pro rumors are true. Which 1/2 are you hoping for? Here is a list of rumored specs. There have been rumors that Apple Inc. is working on a new 12-inch iPad, called the Apple iPad Pro or also referred to as iPad Plus. It is said this will compete with the Microsoft Surface 12-inch tablet, as well as various Samsung 12-inch tablets currently available in the market. However, I say this is in it’s own category. I’m not sure I will like this size, but I do like the specs and features. Measuring 305.31 mm x 220.8 mm x 7 mm, the iPad Pro will apparently feature a 12.9-inch display, making it Apple’s largest tablet yet, and will be powered by the Apple A8X/A9 chip with 2 GB of RAM. Other rumors claim that the iPad pro will be powered by an A9 processor with 4 GB of RAM and 11,000 mAh battery, along with 16 GB, 32 GB, 64 GB and 128 GB storage options. The iPad Pro is also expected to feature Apple’s famous Touch ID Fingerprint scanner and a new hepatic stylus, while housing two or possibly four speakers. The iPad Pro is rumored to cost “somewhere between the iPad Air and MacBook Air” and has been currently pegged for launch at the upcoming Worldwide Developers Conference (WWDC). Wait – is this Apple’s long-anticipated iPad Pro? At the end of the day, I’m excited to see this new tablet. I think it could be my in-between machine.